Ocean views are framed by the lush hillside at this one-bedroom villa. The line between the interior and exterior is blended, thanks to sliding garage-style walls, an outdoor shower, and a wraparound veranda. 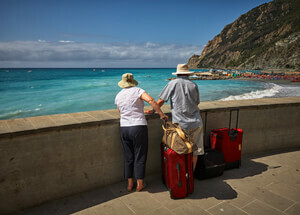 This honeymoon destination has a great value and is perfect for beach-lovers. 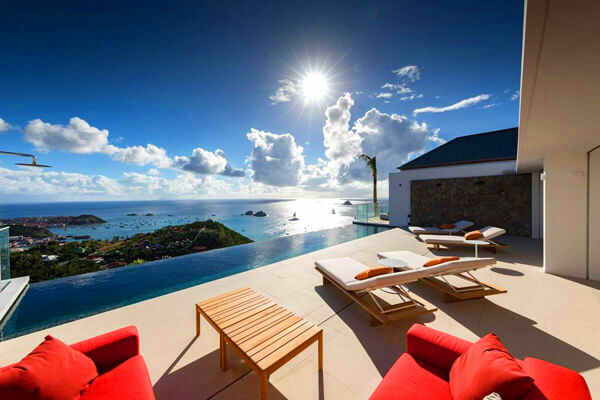 Two couples will love sharing this St. Jean villa’s infinity pool, sunset views, and open-concept living space. 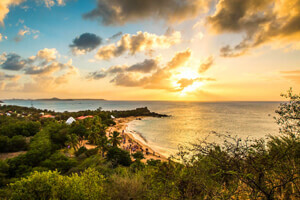 You and your friends can grill on the Weber grill and have a picnic on the lawn, or head down to Nikki Beach for dancing, entrees, and champagne. This two-bedroom is a steal! Zen design and natural elements run throughout this mid-range, three-bedroom beauty. 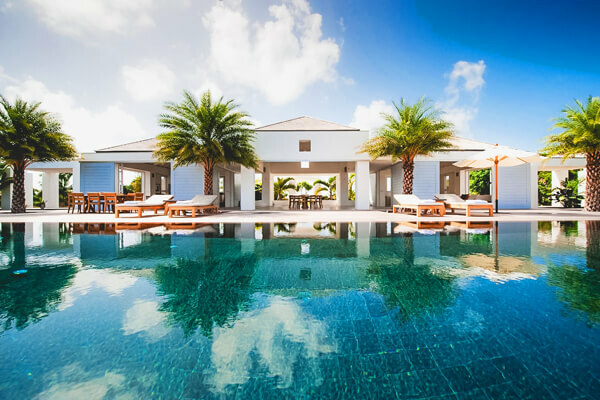 Palm trees surround the stone terrace and lap pool, and the mountains of St. Bart border the ocean on either side of the panoramic view. Alaia’s design is simple and chic, so there’s nothing standing between you and relaxation. 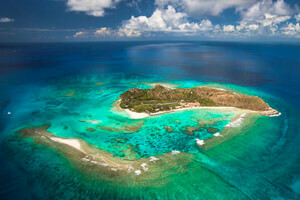 D’Zir opens up to a canvas of sea and sky. It’s architecture is modern and expansive, with vaulted ceilings and uncluttered interiors. Each suite has a king bed and private bathroom, so it’s perfect for three couples who want to spend a little extra on vacation. 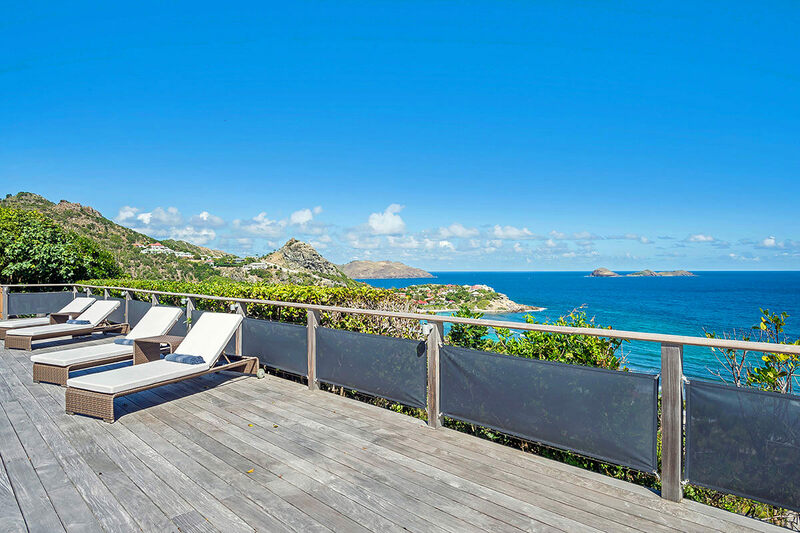 It was nearly impossible to pick just one picture for Claridge Villa, because it’s one of the most picturesque properties on St. Barts. With a wraparound porch, panoramic ocean views, Balinese interiors, and a turquoise infinity pool, there’s more than enough beauty to go around at this four-bedroom villa. 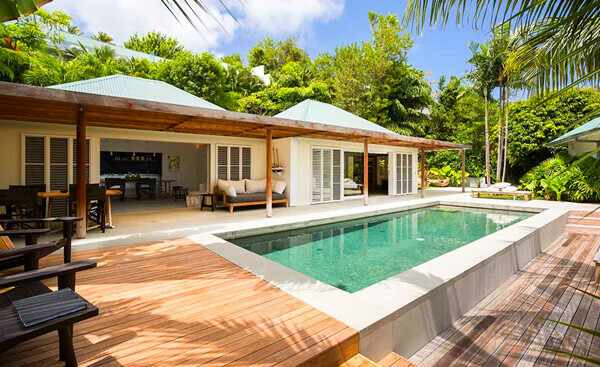 Considering the luxurious amenities and spaciousness, this villa is a steal. Olive is almost smack-dab in the middle of St. Barts, and it has panoramic views to prove it. The infinity pool seems to spill over the mountainside into the sea. 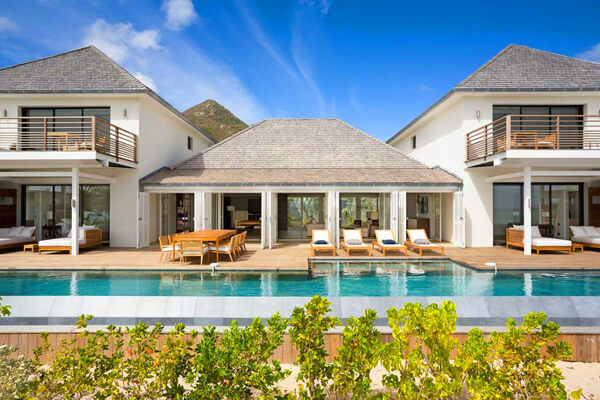 This villa is a collection of pavilions and cottages that all open to the sea and covered walkways, so it’s the perfect splurge for a couples’ retreat. This hilltop property has a great value and thoughtful design. The five bedrooms are spread out between three bungalows, so whether you’re sharing with friends or family, everyone will have plenty of space. Everything is super open and airy thanks to high ceilings, pavilion-style buildings, and wide French doors. Ginger has views from the top of the world, or at least it looks that way! 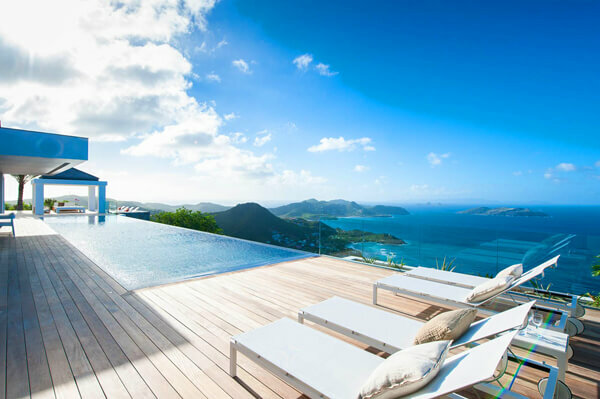 Its infinity pool appears to pour over the hillside, and all five bedrooms have a panoramic view of the Caribbean Sea. The interior is just as beautiful, with modern appliances and sleek design. This villa is simple, yet modern, and comes at a decent price. 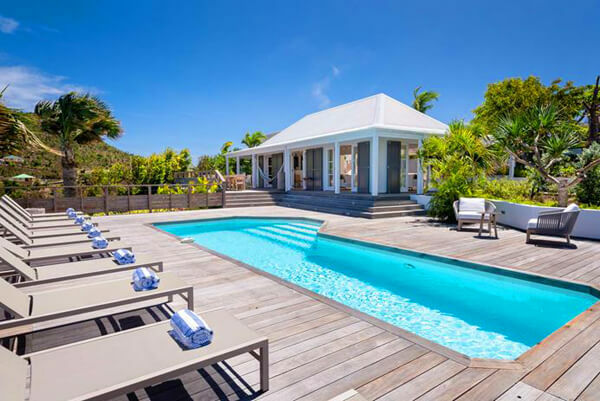 If you’re the type of traveler who likes to hang out by the pool, this five-bedroom, reasonably priced villa is perfect for you. 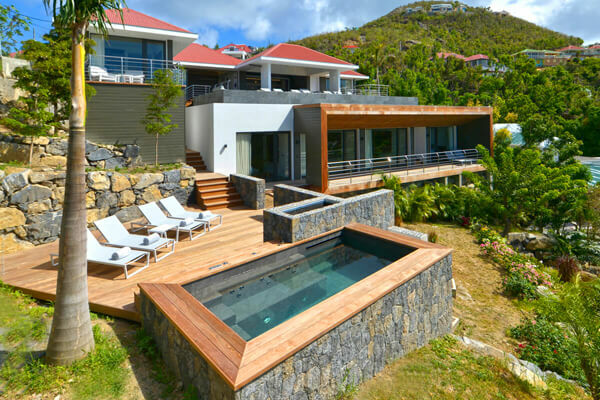 It’s infinity lap pool pours down into a plunge pool, and both decks have tons of lounging and dining space. There’s even a library, so you can read a new book while you sunbathe! Six bedrooms are spread out between two levels of living space at this Columbier villa. There’s something for everyone thanks to the Apple TVs in every bedroom, the pool, the Jacuzzi, the gourmet kitchen, and expansive terraces. 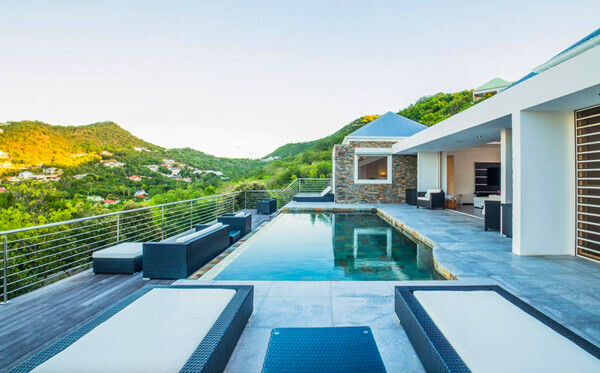 This minimalist, modern villa has a great value for your next couples’ getaway. 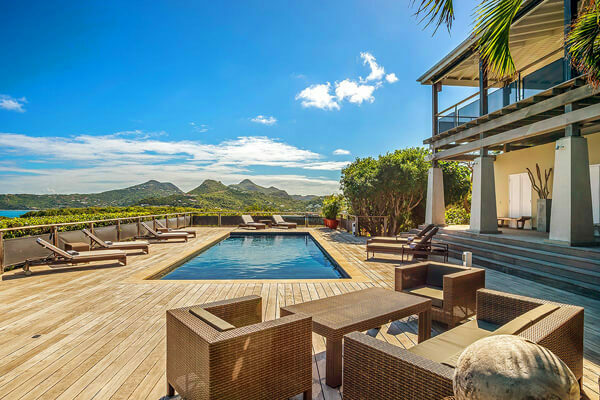 Wide open spaces and ocean views abound at this six-bedroom villa in Grand Cul de Sac. 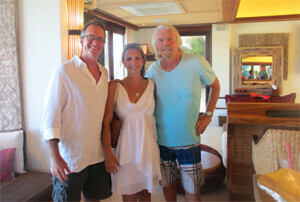 All six suites open to the pool deck, which is all that stands between you and the beach. The living areas are as big as the sea, with high ceilings and open floor plans. Aqua is worth the splurge! 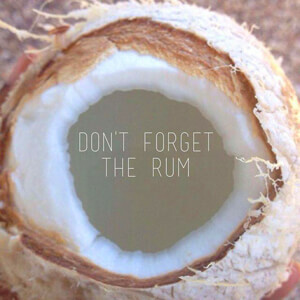 Instead of asking yourself why you should take a Caribbean vacation, ask yourself when and where. 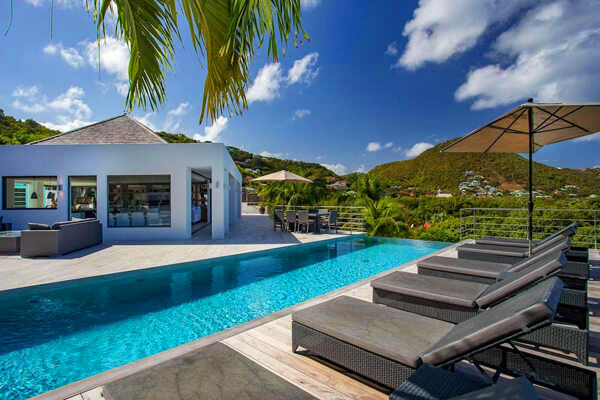 There's a perfect St. Barts Villa Rental for every budget, schedule, and group. 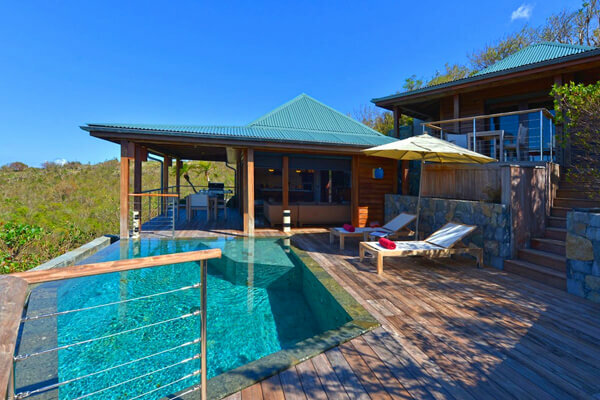 For more information on these properties, click on the villa's name to be taken to its rental page. 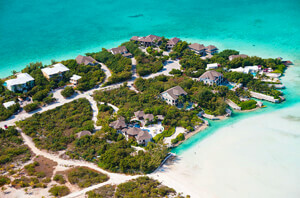 Once you've narrowed down your search, contact a WhereToStay villa specialist at 800.869.8017 or click the yellow speech bubble on the bottom right hand corner of your desktop screen.